Gift boxed set of 3 nesting ceramic bowls with lids. Diameters 16cm, 13.5cm and 11cm. 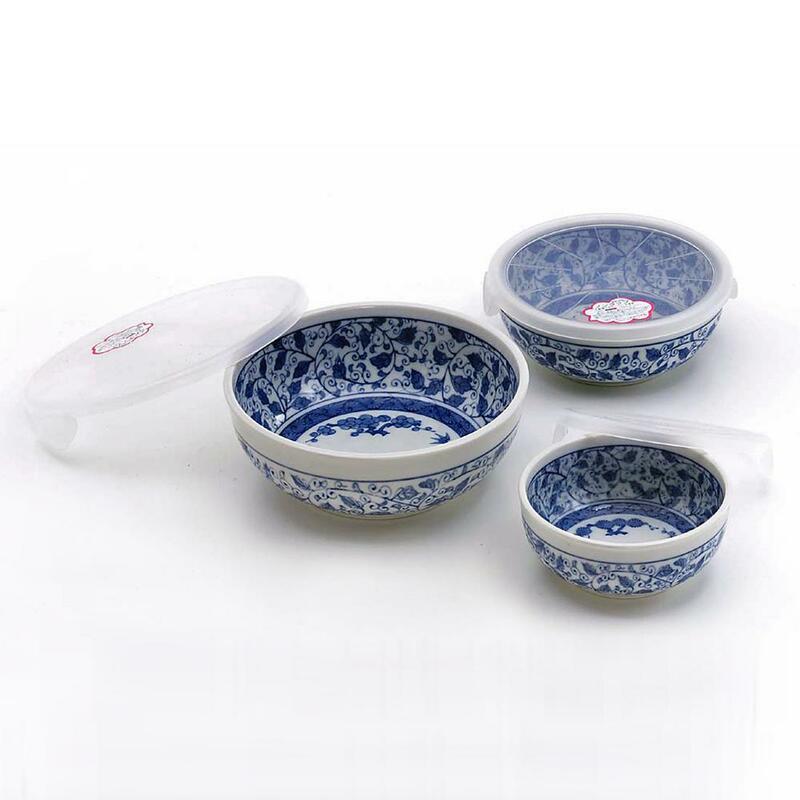 Beautiful serving bowls with practical PP plastic (recyclable) lids.